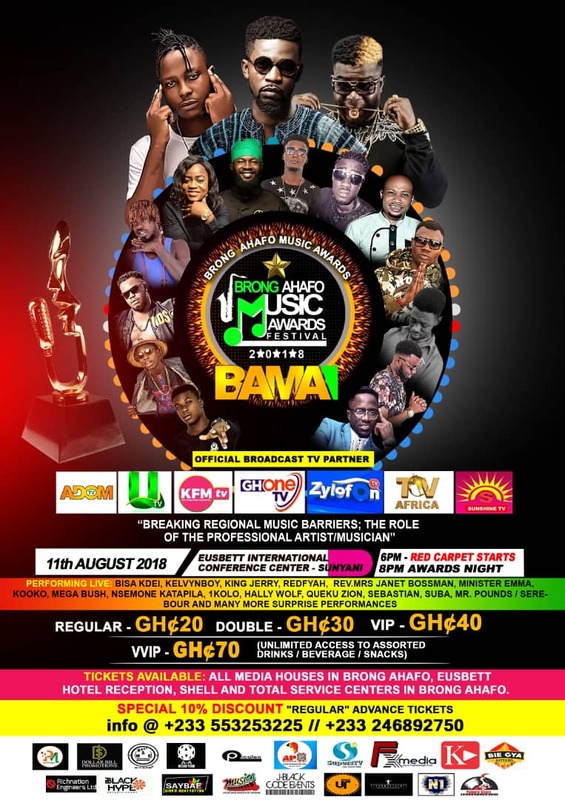 J-Black Code, the organizers of the first of it kind music awards in the region, Brong Ahago Music Awards 2018(BAMA) have released the tickets for the general public who wants to attend this historic music festival. 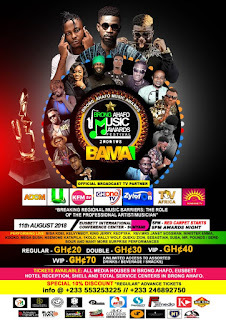 BAMA Awards 2018 is slated on Saturday August 11 at the Eusebett Internal Conference Center is to award some hardworking musicians from the Region such as Joyce Blessing, SP Kofi Sarpong, Kooko, Janet Bossman, Cafi Doma and many others. The tickets go by Ghc 20 for regular, Ghc 30 for double, Ghc 40 and Ghc 70 for VIP and VVIP respectively. In a WhatsApp chat with the Organizers they disclosed to fillascorner.com that they are expecting not less than Two Thousand Five Hundred attendance. The general public can visit any if the radio stations below to pick his or her ticket or call 0553253225 for more information.